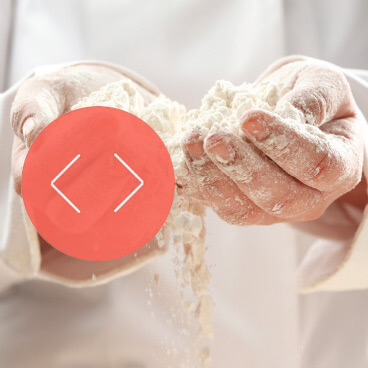 If yours is one of the millions of companies using powders in a manufacturing process, you don't need us to remind you how vital it is to keep your production line running smoothly. The consequences of, for example, consolidation during storage or transport or the formation of a blockage in a hopper could be both very inconvenient and very costly. 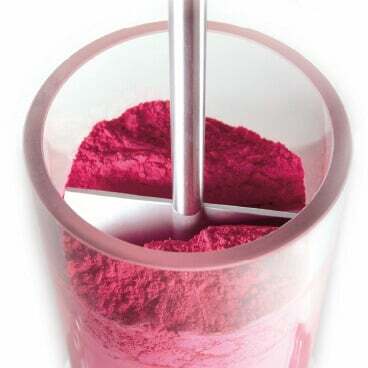 Measurement of the flow properties will enable objective accept/reject decisions to be made, whilst the knowledge of a powder's characteristics before and during its processing will enable the formulation and key process steps to be optimised when conveying, mixing, tabletting and storing the powders, resulting in a more cost effective controlled operation of the process. When a new supplier is selected, or even when a new batch of product is delivered from the usual supplier the variation in flow properties can lead to large problems during storage and handling. 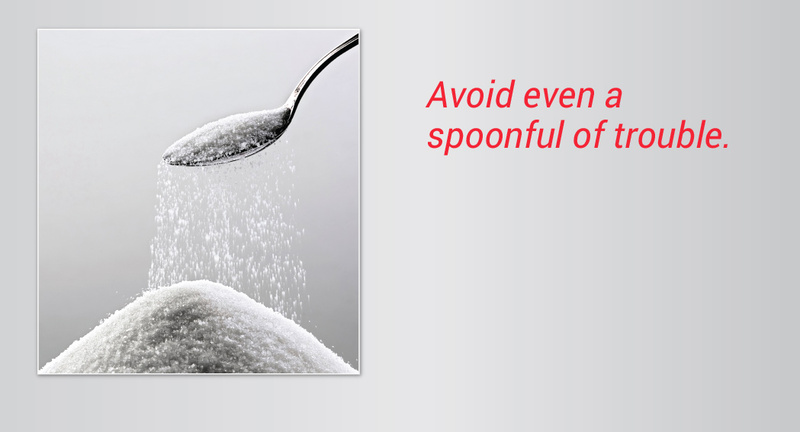 The Powder Flow Analyser allows the quality control of the newly delivered items. 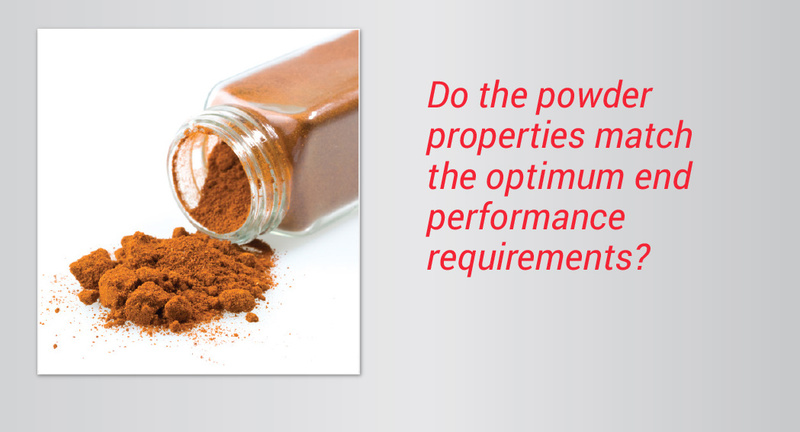 Tests can be carried out in a short time to generate a reading that tells an operator whether the powder will handle/perform in an acceptable manner. This philosophy allows users to test powders in small volumes before deciding to fill up a silo or start processing, thus leading to large savings in terms of time and money usually resulting from unloading jammed silos. 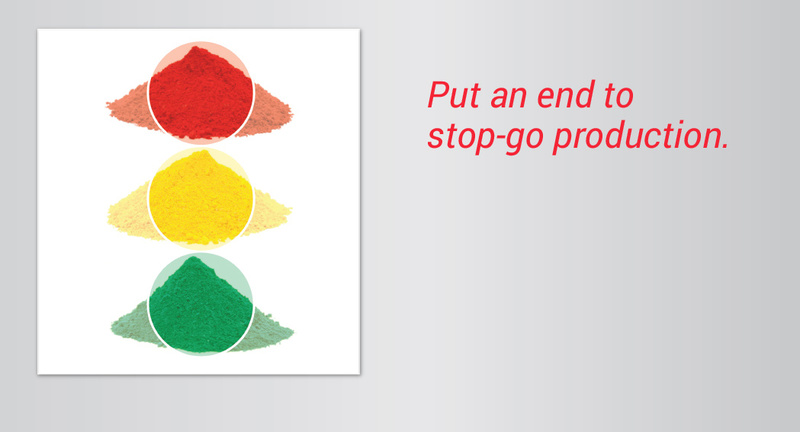 R&D teams need to optimise the mixing of powders and addition of flow aids. This is necessary to achieve the optimum performing final product without risking flow problems or over-using expensive flow improvement additives which may cause end product deterioration and costly waste. 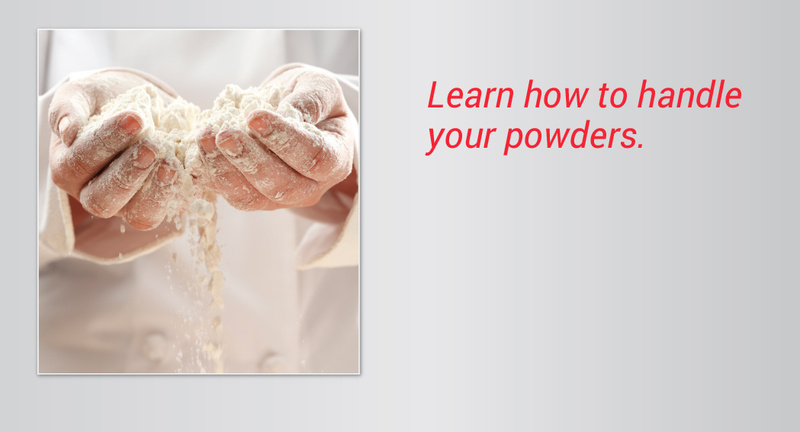 The Powder Flow Analyser allows product development teams to test out the flow properties of new product recipes and mixes before running the powder through the process or loading up a large container. You will be able to rank and relate powder measures to process and end product features. 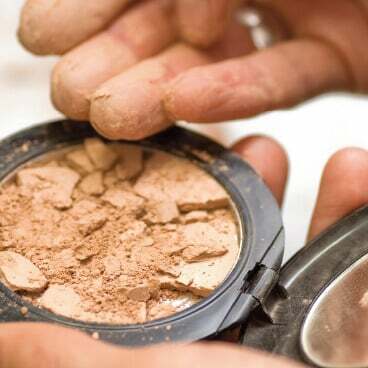 During the course of a product's life cycle, cheaper alternative ingredients are likely to be discovered. Whilst on the surface these cheaper ingredients might appear to have the same specification, they may not behave "the same", as a product with the same name can have a wide variation of properties. Confidence checks will need to be carried out to ascertain whether they convey and flow after storage in the same way, whether they are equally affected by, for example, moisture and temperature, and whether these cheaper ingredients would ultimately increase factory costs as a result of having to spend time unblocking processes and silos. Measurement of powder flow enables assessment of the powder's behaviour when in Conveyors, Chutes, Silos, Air lifts, etc. and when, for example filling packs, bottles and capsules to a minimum weight. During storage, conveying and in transportation such issues as segregation, attrition and agglomeration can occur. Obtaining measures of cohesion, caking, powder speed flow dependence means that powders can be characterised by several numbers to create a "fingerprint" rather than inadequately with a single value. 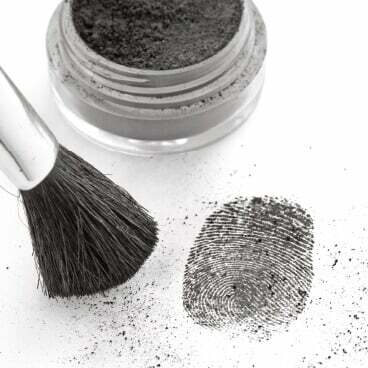 The fingerprint can then be investigated with reference to changing parameters such as humidity, compaction pressure, particle size and shape (to name but a few). Measurement of powder flow enables assessment of behaviour when, for example, filling packs, bottles and capsules to a minimum weight. 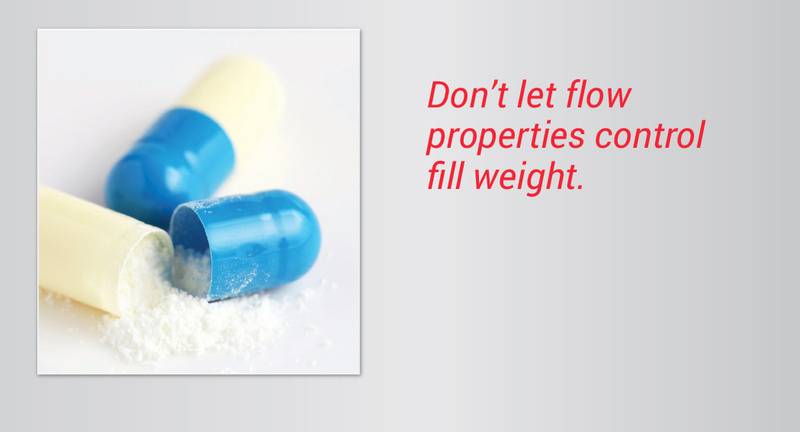 Flow behaviour will undoubtedly affect, for example, tablet hardness and capsule fill weight, both of which are likely to be strictly controlled to tight specifications. 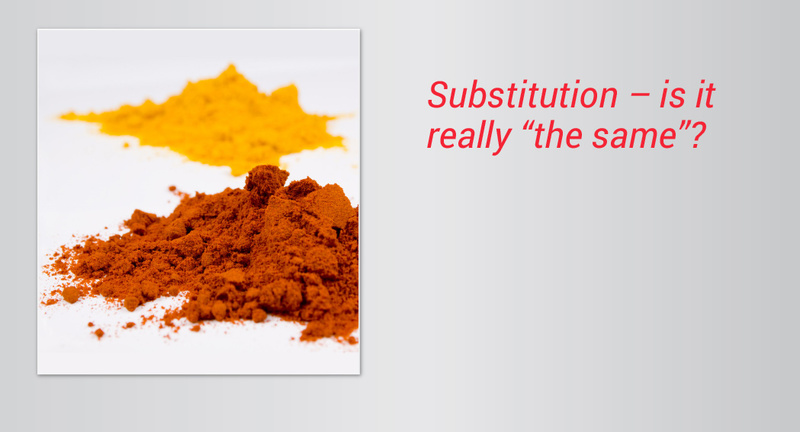 Understanding and improving the variation in fill weights due to tighter control of the flow properties of the powder allows reduction in waste and subsequently improves profit. Slicing/Shearing through a powder column allows movement through the sample with minimum disturbance when required by moving at the same helical path angle as the blade profile. 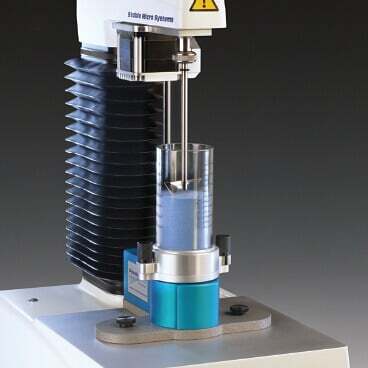 This may be desirable when required to move downwards through the column with minimum disturbance and therefore effect on the sample in order to measure a characteristic on the upward cycle of the test or when looking to 'cut' through a column in order to measure the strength of a cake that has been formed after compaction/consolidation to a specified stress in order to imitate storage conditions. From an engineering perspective: The patented blade is a true helix and can be mathematically described, unlike the blades fitted to other powder measuring devices on the market. The helical blade naturally cuts through the column of powder being tested and negates the need for complex torque measuring systems. Repeatably manufactured by CNC machining, it allows Stable Micro Systems to achieve very reproducible, and highly discriminating results from a reliable, simple and lost cost accessory. Commenting on the patent, Jim Walker, technical director at Stable Micro Systems, said: "The design of the blade is the single most important factor in achieving repeatable powder flow measurements. The non-helical blade used on other instruments is bent from a flat sheet and presents a large flat central area to the powder being tested. 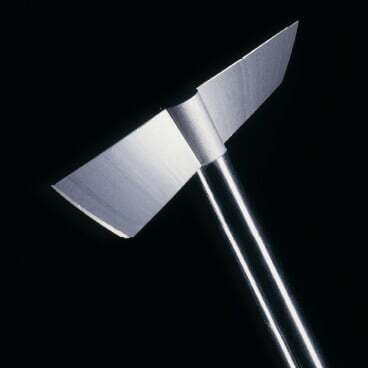 It effectively compresses a column of powder beneath the blade during its travel path through the sample. 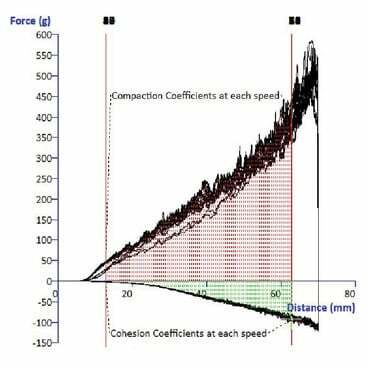 As a consequence, any axial force readings being taken are corrupted and these instruments are forced to rely on torque measurements because of the inadequacies of blade design."